Your headlamps are positioned on the front end of your Nissan vehicle. They are responsible for providing the light that illuminates the road while it is dark or helps your visibility in adverse weather conditions. This important job makes your headlamps a safety priority because when they fail, you will have poor visibility in adverse conditions. When one or more of your headlamps fail, one of the easiest ways to protect your visibility and safety is with a Nissan Headlamp Replacement Service. When you have a headlamp go out, it will be obvious because it will emit no light. That is how to know exactly when to replace it. Although Headlamp Replacement might seem easy, why hassle yourself and your busy schedule when expert technicians are on standby to do it for you? At United Nissan in Las Vegas, we have the service protocol and expert technicians ready to provide you with service quickly, conveniently, and hassle-free. 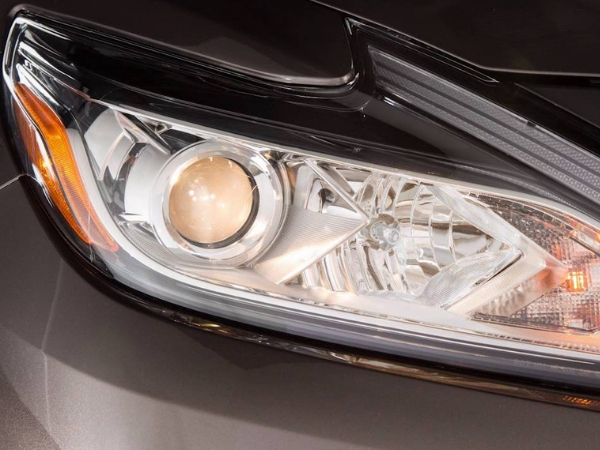 If you live in Las Vegas, Paradise, or Spring Valley and have a bad headlamp, bring your vehicle to our service center to have a Nissan Headlamp Replacement Service that ensures you have the best visibility and safety. At United Nissan in Las Vegas, we designed our Nissan Headlamp Replacement Service to be an Express Service Offering. That means we will provide your Nissan Headlamp Replacement Service within 30 minutes of your arrival. Stop by the service center unannounced and we’ll take care of you with an express service just like your vehicle is our own.